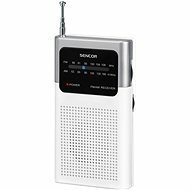 A compact and very portable radio in an attractive silver chassis. 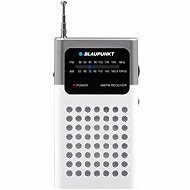 It has the Auto Fine Tuning (AFC) function to reduce errors in tuning and reproduces AM and FM waves. You can also connect headphones to this device, which will be appreciated in a noisy environment or if you do not want to disturb anyone. The weight of the device is only 170g. It is powered via two AA batteries. FM (VKV), AM (SV/MW) Done! For shipping to other EU countries visit this page GRUNDIG City Boy 31. 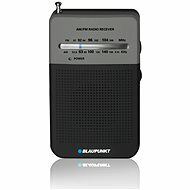 Für Versand nach Deutschland, besuchen Sie bitte GRUNDIG City Boy 31. Chcete doručit zboží do Česka? Prohlédněte si GRUNDIG City Boy 31 . Chcete doručiť tovar na Slovensko? Prezrite si GRUNDIG City Boy 31. Für Versand nach Österreich, besuchen Sie bitte GRUNDIG City Boy 31. Magyarországra történő kiszállításért tekintse meg ezt a termékoldalt: GRUNDIG City Boy 31.